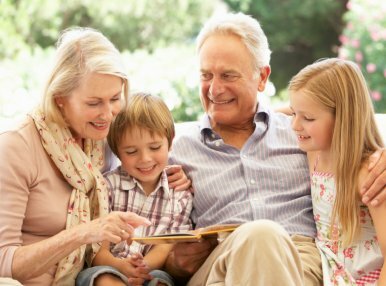 YOUR DREAM OUR EXPERTISE THE PERFECT FAIRYTALE! 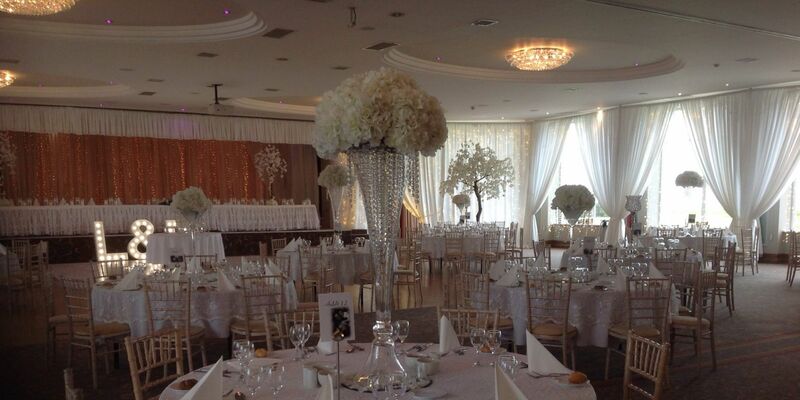 For the perfect Wedding Venue in Donegal, look no further than the Inishowen Gateway Hotel. 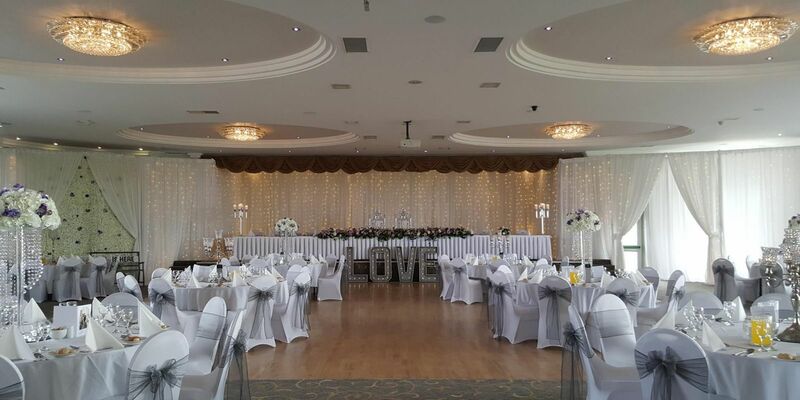 We will help orchestrate your dream wedding at our Donegal Wedding Venue so you can have a stress free, unforgettable wedding day. 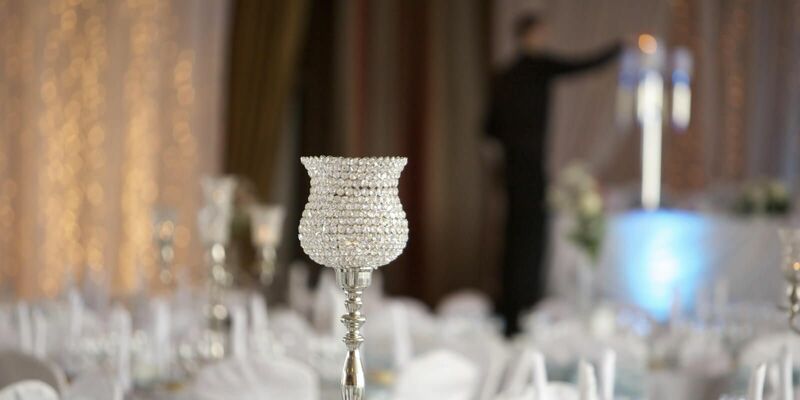 Our passion for perfection and meticulous attention to detail will ensure your dream becomes a reality. 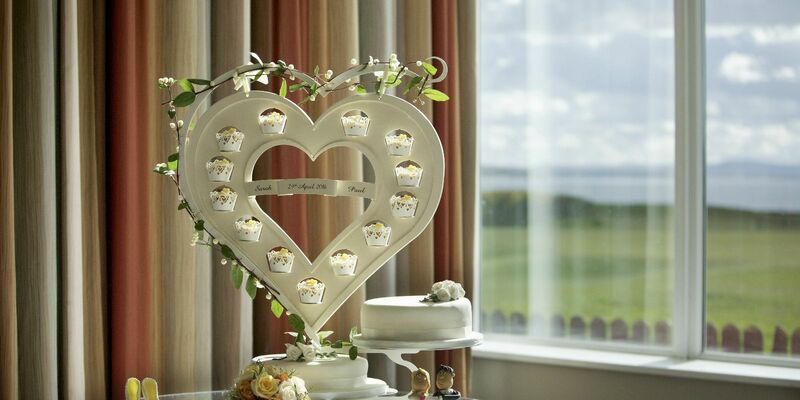 We have two stunning ballrooms with spectacular views and surrounded by sea, sand, scenery. 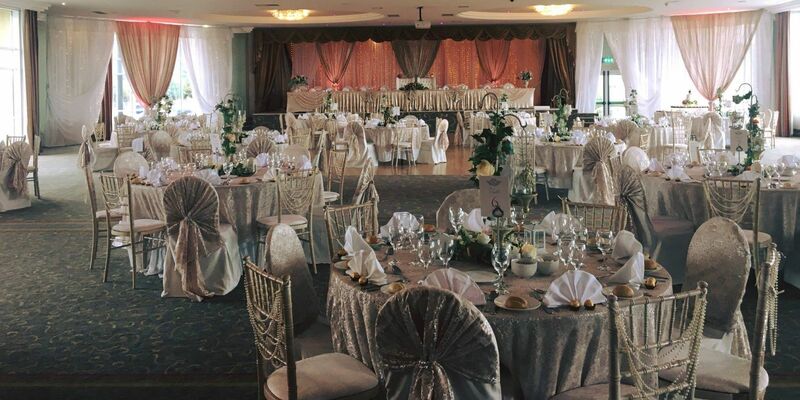 Both banqueting suites, the Lisfannon Suite and the Swilly Suite, can be customised to your individual preference with chair covers, sashes and co-ordinating centre pieces. 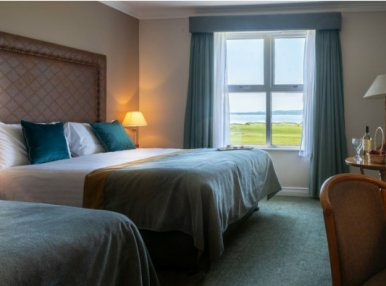 This is your day, and no one understands this better than we do at the Inishowen Gateway Hotel. 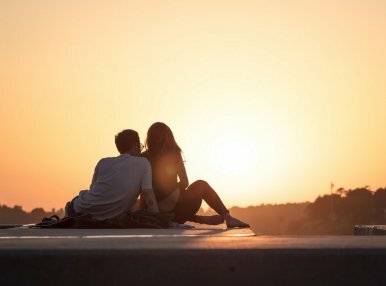 From our very first consultation we will work with you on your dreams and wishes that represent you and your partner. 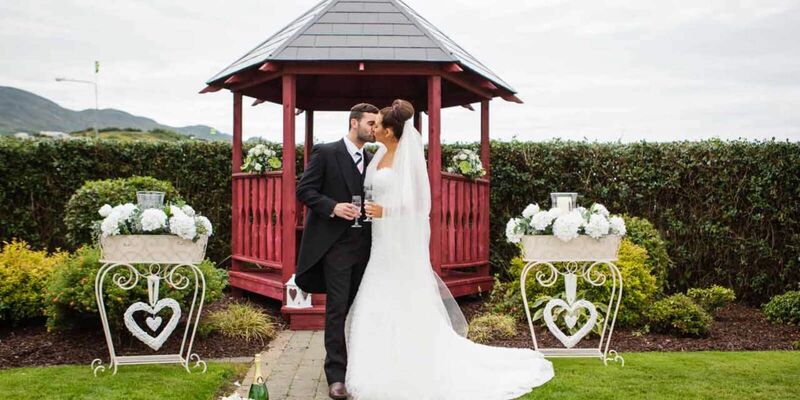 In addition to the picturesque setting that this Donegal wedding venue has to offer, the hotel has redesigned its wedding packages. 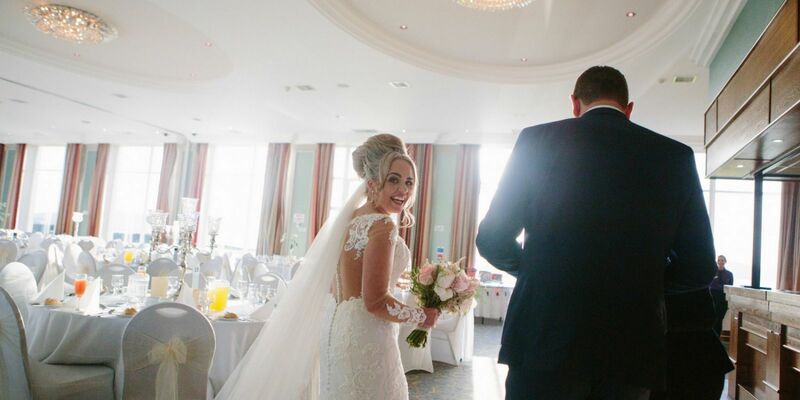 Each wedding package has been carefully put together with the knowledge of knowing what will appeal to you and your guests on your perfect day. The hotel has a reputation for fantastic food with a creative and versatile range of menus, presented and served with the skill that only years of experience can provide. 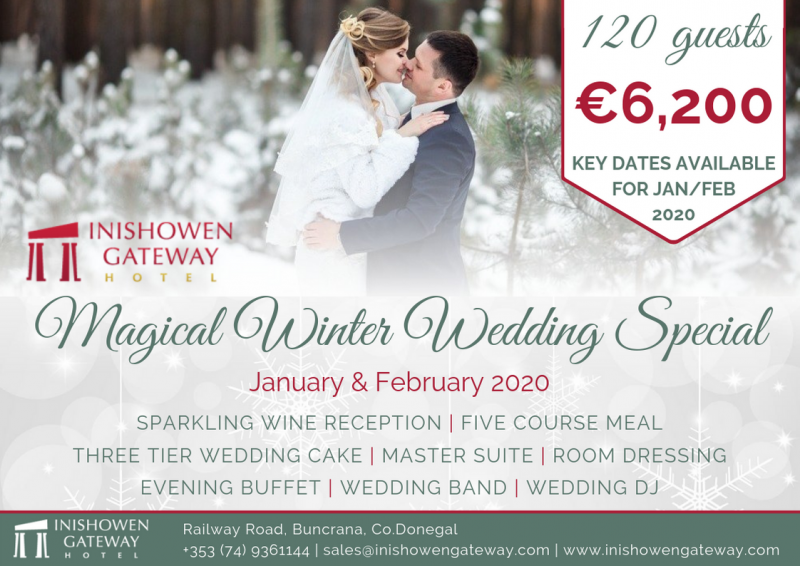 To make an enquiry, please contact our wedding team today and speak to Joleene or Sinead about our Donegal Wedding venue on 074 9361144 or email sales@inishowengateway.com to make an appointment for a private consultation and to organise a viewing of our facilities or to request a Wedding Brochure and prices.